The thing about New Year’s Resolutions is, you can make big declarations and everyone around you is likely to forget by February and subsequently nobody will hold you accountable. In other words, it’s often easy to wriggle out of them. Not so when you publicise your intentions in a blog post. In January, I wrote about my target to go on at least one hike per month. 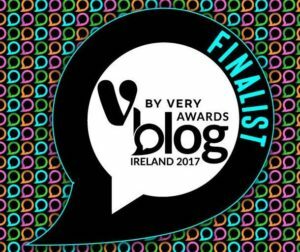 What I didn’t consider was how hectic my life would become half way through the year, which sometimes made it difficult to stick with. Luckily, I have a very supportive muggle husband who won’t easily allow me to forget the resolutions I made. In August, I got married and spent weeks catching up with family, some of whom I hadn’t seen for years – it was amazing. I was enjoying life so much, before I knew it, we had arrived at the last weekend of the month with no hike completed or even planned. 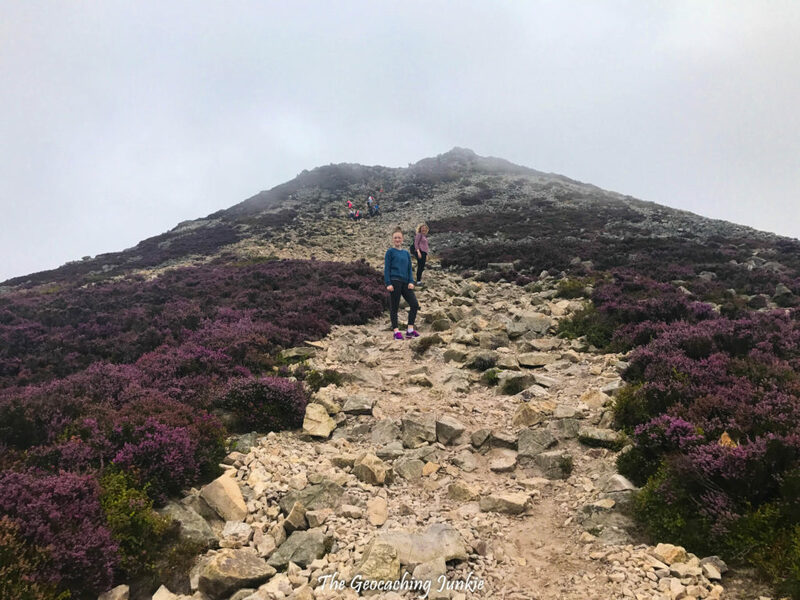 Happily, my sister and her family were still visiting from Australia and intended to hike up Great Sugar Loaf Mountain so we tagged along! This was not my first time up Sugar Loaf; I did the hike once before in 2014 to find some geocaches – what else? 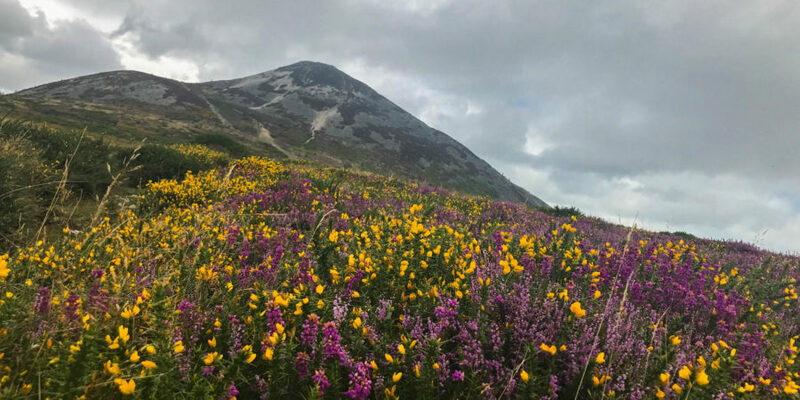 The mountain is just a 10 minute drive from where I grew up in Bray, so it’s kind of deplorable that it took me so long to finally hike it. 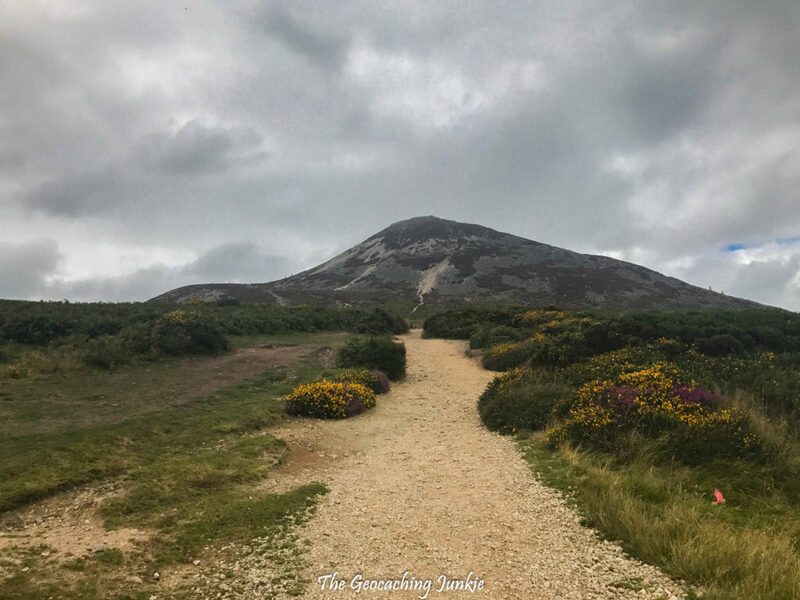 The hike up Great Sugar Loaf is very popular; it’s one of the most climbed peaks in Ireland, according to walkingroutes.ie. 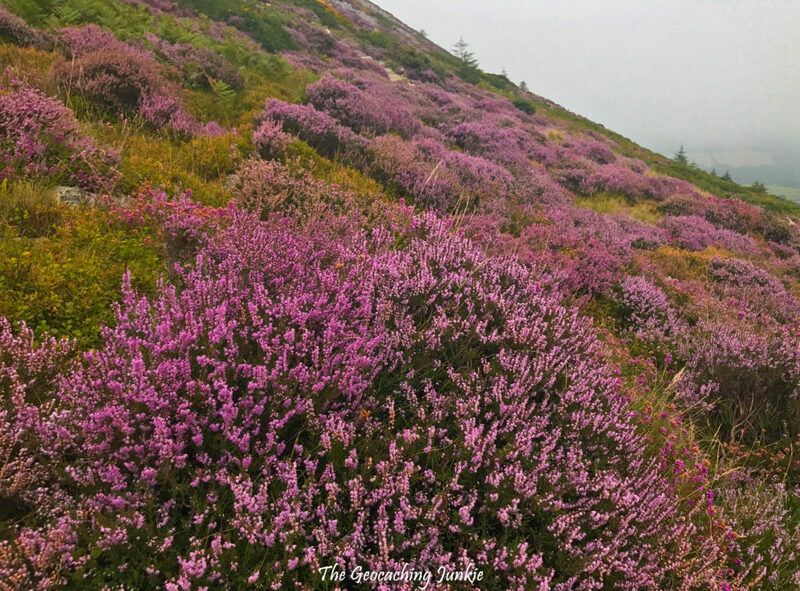 In late summer, purple heather blankets the Wicklow Mountains and it was in full bloom on Sugar Loaf at the end of August. 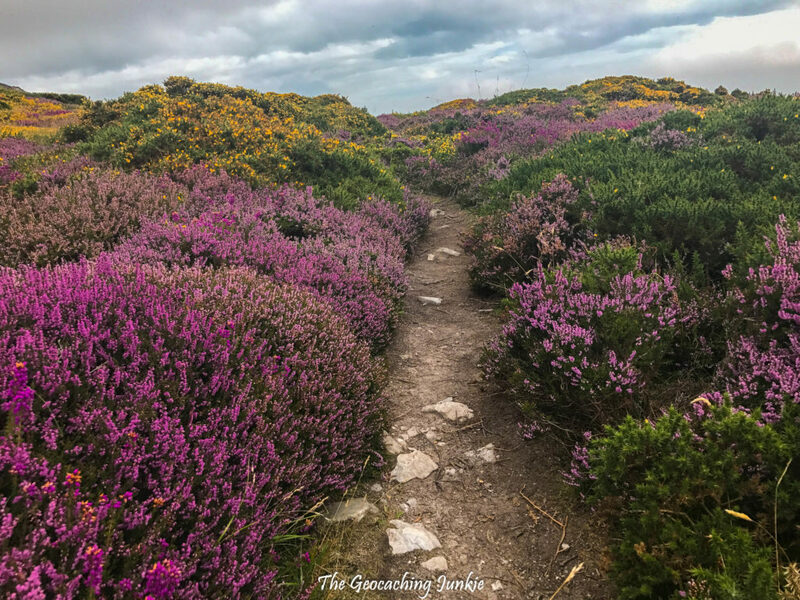 Since the walk is so popular, the car park is always busy on a fine day, and there is even a guy who sells coffee and snacks who is there for much of the day, so it’s relatively safer than some other parking spots for hiking in Wicklow (that said you should never leave valuables in your car while hiking, seriously). Great Sugar Loaf is quite distinctive as it’s isolated from other hills and its shape is reminiscent of an extinct volcano. I was quite shocked to learn that it was not, in fact, a volcano although I firmly believed it was when I was a child. 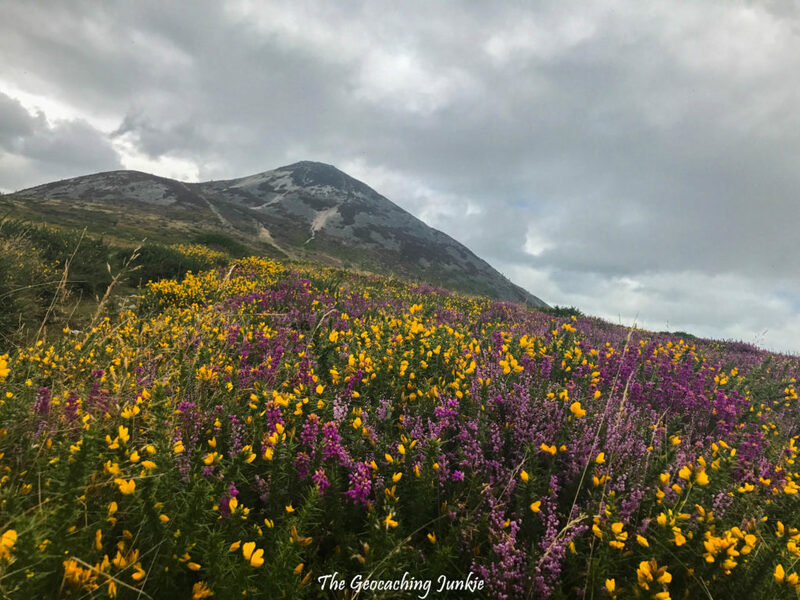 The mountain is actually made of the same type of rocks as Bray Head: quartzite from the Cambrian period. 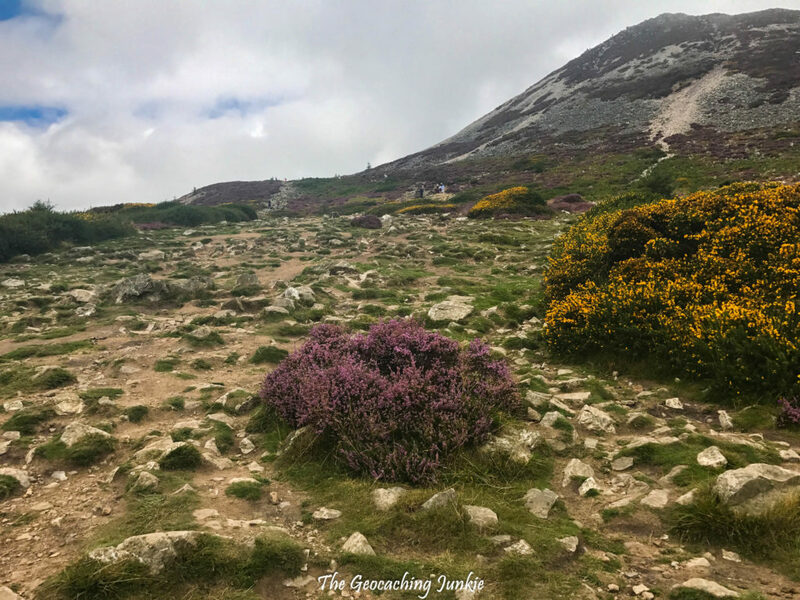 The obvious path starts out easily enough, leading you to the ‘shoulder’ of the mountain, where you turn right and head up the tougher path to the summit. 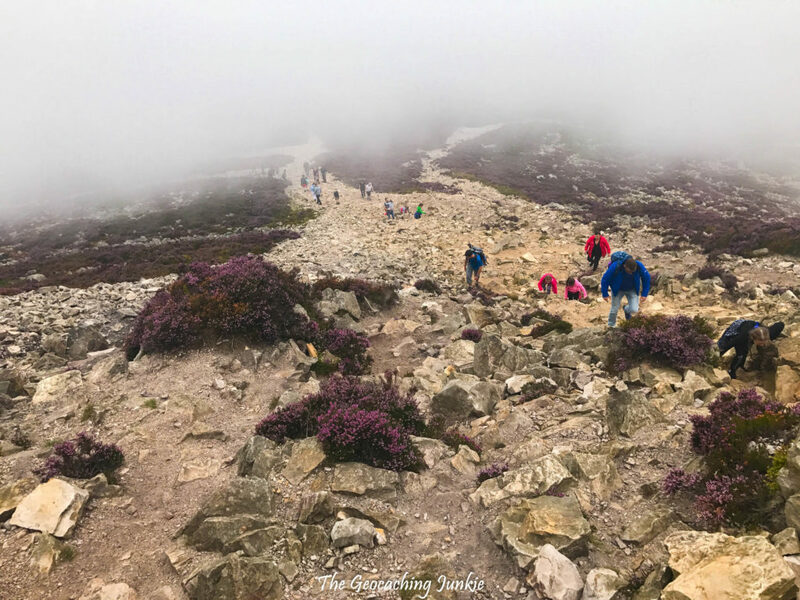 The trail becomes increasingly covered in loose rock until you get close to the summit, where both hands and feet are needed to scale the craggy rocks. At one point, I had to also incorporate my knee to get me up to the next rock and accidentally wedged it between two rocks. Two painful bruises were my war wounds from that particular mishap. 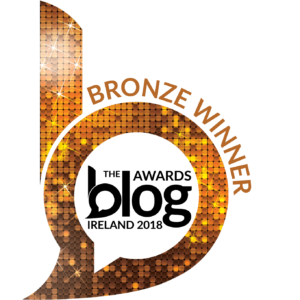 My niece asked did I want to just wait where I was, but I was tantalisingly close to the top, so after a brief sit-down, I soldiered on and finally made it – last, as always! 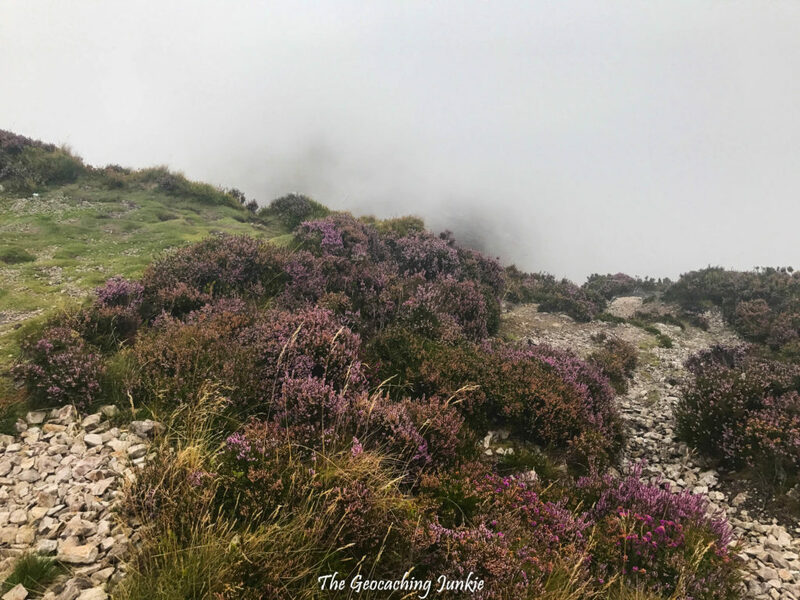 Fog had descended while we were on our way to the summit so by the time we arrived, and I was eager to drink in the view as my reward, there was absolutely nothing to see from the top! On a clear day, there are great views to Bray and Greystones and out to the Irish Sea. 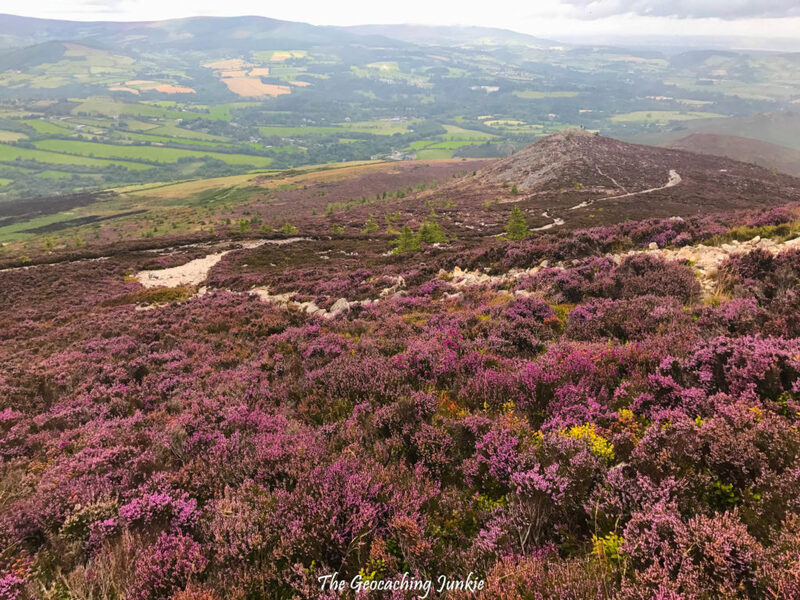 The views of the striking wild heather on the descent did make up for the lack of panorama at the top though. Getting down definitely took longer than getting up and I was undoubtedly slowed down further by the knee injury I’d just picked up. The loose rocks may be tricky on the way up, but they can be even more precarious on the descent. 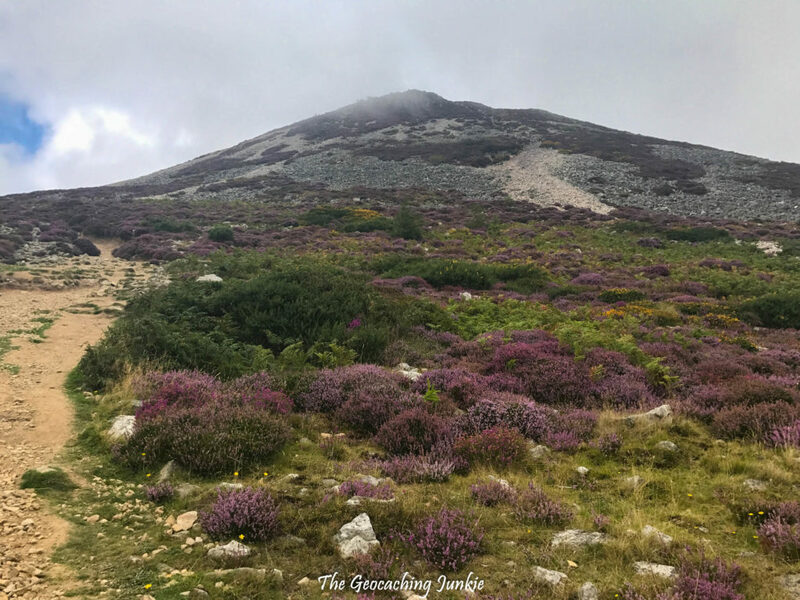 Although it can be tricky in parts, we saw many younger kids doing the hike, but the terrain is definitely not suitable for pushchairs, and both adults and kids need to take a lot of care on the steep descent. 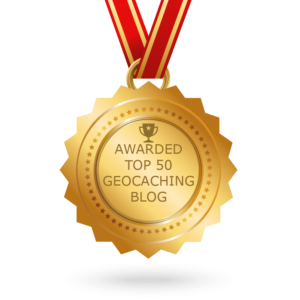 There are two traditional caches, a multi and an EarthCache to enjoy, although they will prolong the hike as they’re all off the beaten track. Another month, another hike done. 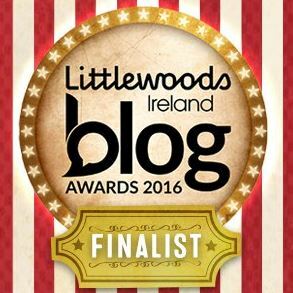 Only 4 months left to go this year, will I make it? How are your New Year’s Resolutions going? Let me know in the comments! Great photos, Sarah, as usual! Not too easy to take good ones with that foggy, overcast light conditions.